Home / Alphabet M-O / Endo-met M.C.H.C. M.C.H.C. Great for osteoporosis, wound healing and menopause. 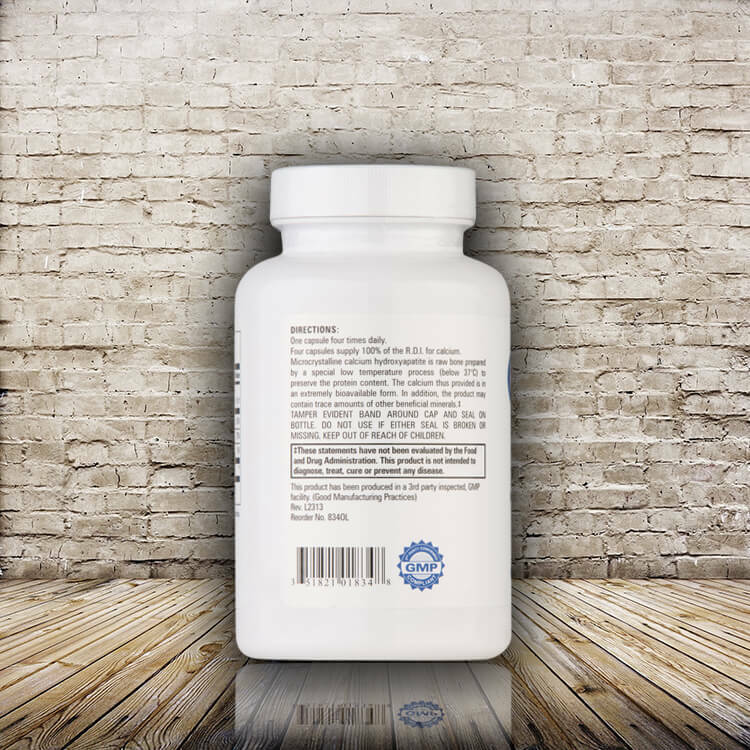 MICROCRYSTALLINE CALCIUM HYDROXYAPATITE COMPLEX Suggested Use: One capsule 4 times daily, or as directed by a physician. How Supplied: Bottles of 120 capsules. Other Ingredients: Gelatin (beef), vegetable lubricant, cornstarch, sucrose, soybean oil, di-alpha tocopherol. Contains soy. 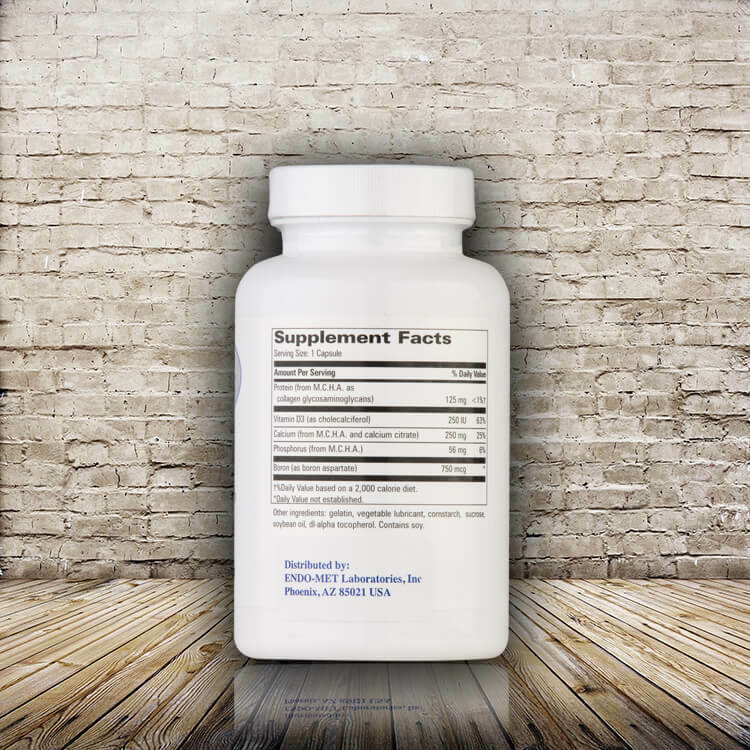 Additional Notes: Microcrystalline Calcium Hydroxyapatite is raw bone prepared by a special low temperature process (below 37ºC) to preserve the protein content. This product is free of: casein, corn, dairy, egg, gluten, GMO, lactose, wheat, whey and yeast. Percent Daily Values are based on a U.S. 2,000 calorie daily diet. † Daily value not established Note: Italicized items are coating ingredients. Great for osteoporosis and wound healing. 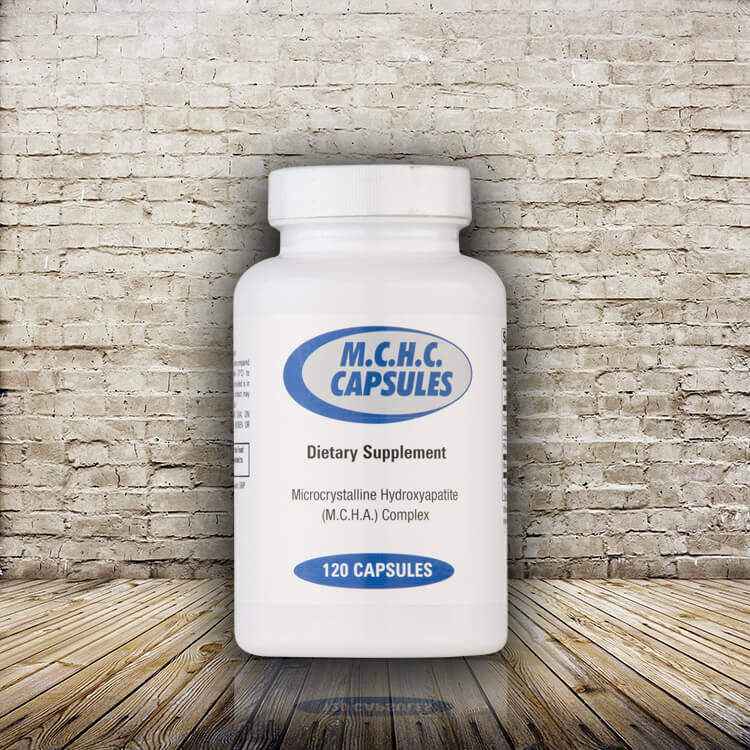 MCHC or micro-crystalline hydroxyapatite crystals, is a bone extract specifically designed to help build strong bones. We recommend magnesium with this product also.